Blessings in Disguise: FREE Shoes! 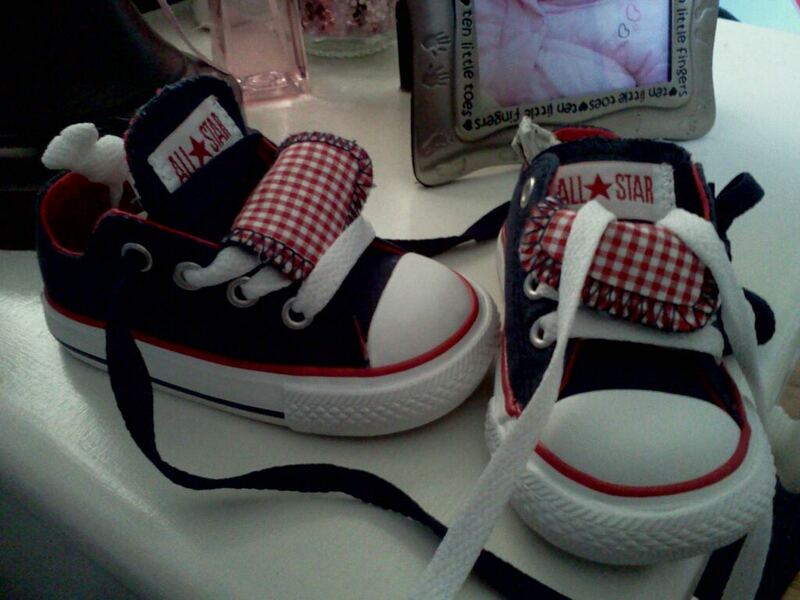 Remember last summer when I was so excited about these baby shoes? Well, her a-mom wasn't sure whether or not she was a size three or a four and told me she'd have her try on both at the mall in the same brand to let me know. Well, me being me (instant gratification and no patience), I ordered them in both sizes and planned on just returning the one that wouldn't fit her. She wound up needing the smaller size, so I packed the other ones up and planned on shipping them back. And planned...and planned..and planned. And then completely forgot. So, they've been in the back of my closet for almost a year now. They're an infant size 4, never been worn, and still have the brown wax paper stuff inside of them and are still inside the Converse box. Um, me my friend! Duh!